The last few days, when I went grocery shopping, the only bananas that were available, including the organic ones, were already beyond the ripeness stage that I usually look for, so I was going to pass on buying them. Then I thought, hey what about baking, I can make banana muffins and bread, as long as I do so as soon as I get these home or the next day. If I don’t then I’d best freeze them. 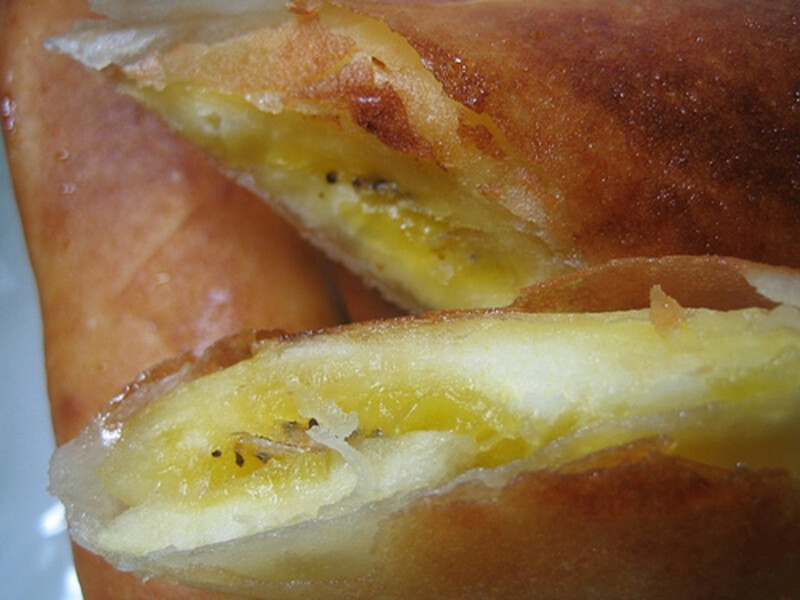 To freeze the bananas slice them first, then put in a freezer bag and into the freezer, simple and quick. Frozen bananas, sliced before freezing, are great fo making smoothies. 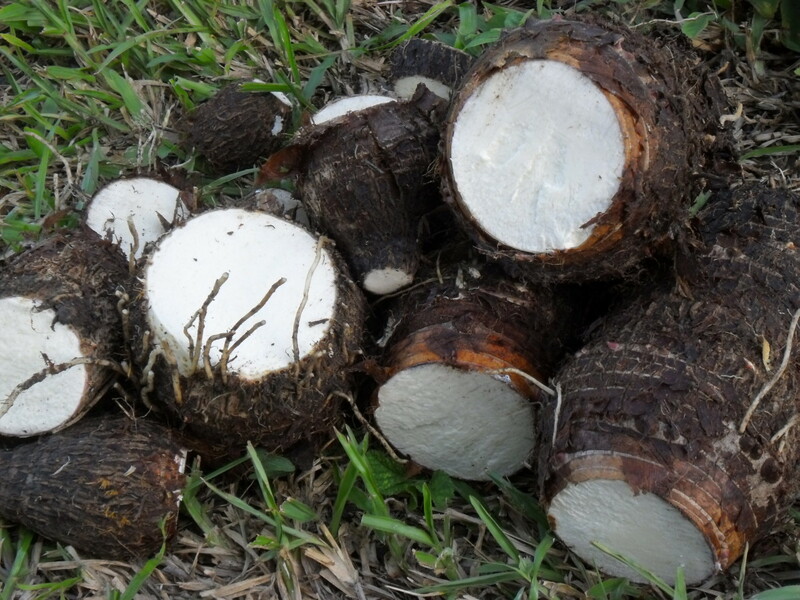 I just add them to the blender along with some coconut milk and whatever else I want to use and blend, delicious. Another plus with ripe bananas is mashing them for baking. They are soft enough so that this is easily and quickly done.These bananas were ripe enough that mashing them was incredibly easy, not that mashing a banana is a particularly difficult task. When you bake muffins with ripe bananas you do not need to add sugar, add some cinnamon and they are sweet enough to eat. Add cinnamon and slightly beaten egg. Sift dry ingredients together and add to above mixture. This makes one dozen muffins, which go great with coffee in the morning, or are ideal to put in a lunch for later that day. 2. Lightly grease a 9x5 inch loaf pan. 3. In a large bowl, combine flour, baking soda and salt. 4. In a separate bowl, cream together butter and brown sugar. Stir in eggs and mashed bananas until well blended. 5. Stir banana mixture into flour mixture; stir just to moisten. 6. Pour batter into prepared loaf pan. 7. Bake in preheated oven for 60 to 65 minutes, until a toothpick inserted into center of the loaf comes out clean. 8. Let bread cool in pan for 10 minutes, then turn out onto a wire rack. 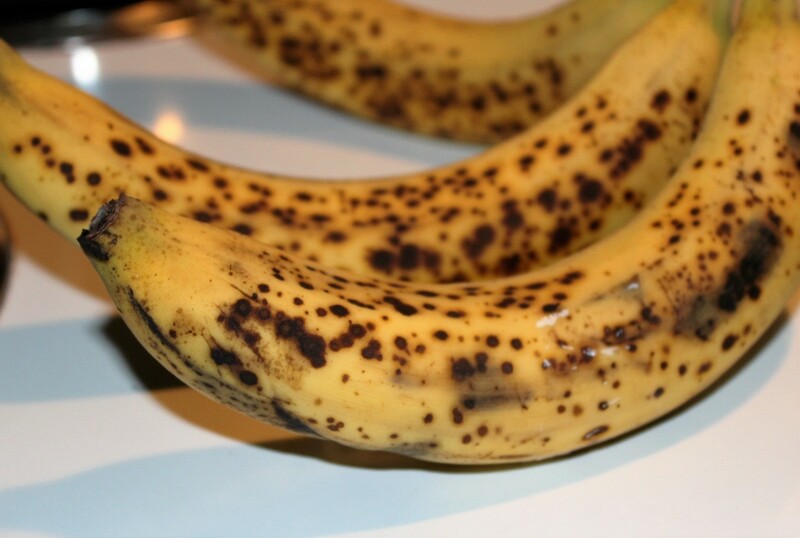 There is no reason to toss bananas away of they begin to age as long as you either use them or freeze them. Freezing is also a good technique when bananas are on sale, you can buy extra and set them aside for another day. 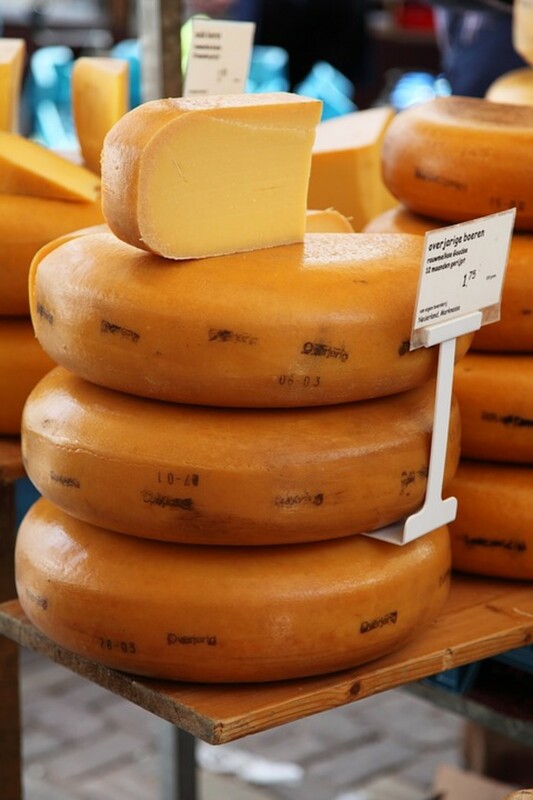 Are There Really Any Good Substitutes for Cheese? Just about to make a batch of these for my breakfast this week. I am going "no-sugar" for a week and googled no sugar banana muffins. Thanks for the recipe and can't wait to bite into a hot warm muffin fresh out of the oven. I too freeze my banana when the family will no longer eat them as is. My mom taught me that trick when I was young and it's the easiest, and frugal way to have an already "mashed" banana. I will be sharing your recipe with a few adaptions to my liking on my blog, with tons of link backs for you. Again, thanks. Sounds tasty. thanks for sharing. I am doing a no added sugar diet and this recipe was great! I replaced the butter with unsweetened applesauce. I also used half whole wheat flour and half oatmeal. Added 1 tsp of vanilla for extra flavor, doubled the cinnamon, and loaded them up with walnuts! Yum! the best no sugar recipe for banan muffins I have found to date! thank you!!! I am pleased ypu fd something you like, thanks for the comment. Reducing or eliminating sugar is a good way to drop some weight, thanks for stopping by. Thanks so much for this recipe. I have been sugar free for 6 months now, lost 25 pounds and am always looking for good sugar free recipes! The baking powder is important to get the texture. Does it change the recipe too much if you leave out the baking powder? I have all the other ingredients on hand but that. I am pleased you enjoyed them, cranberries are a nice touch, thanks for the comment. I am pleased you and the babies enjoyed the muffins and thanks for sharing the recipe. Have a great day. 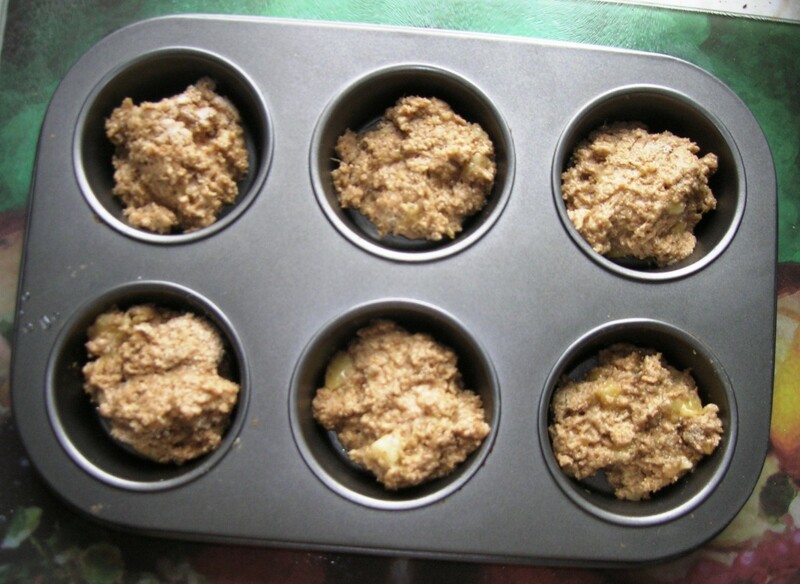 Wow-- just made these banana muffins for my 10-month old babies and they were a huge hit! 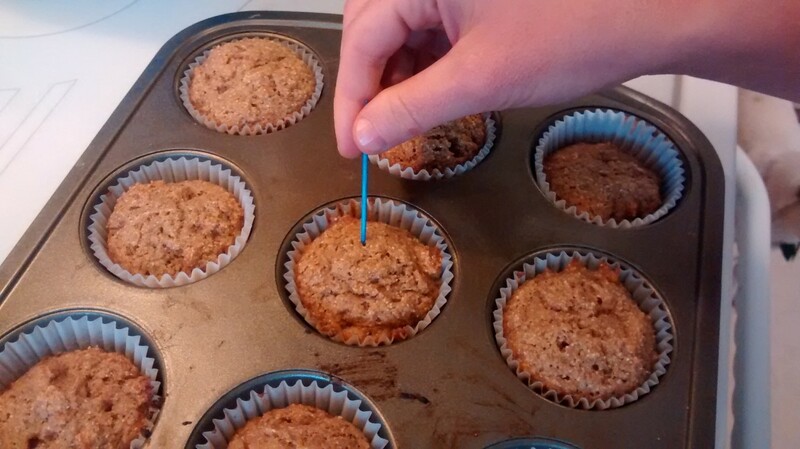 I am a nutritionist and was searching everywhere for a no-sugar-added, whole grain muffin for my kids and yours was the only one I could find... wasn't optimistic that they'd be moist or delicious based on the ingredient list, but was so pleasantly surprised! 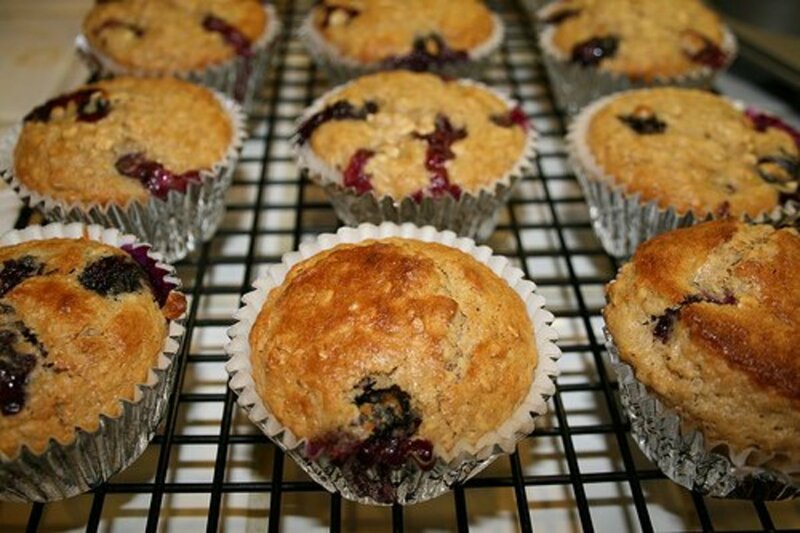 Have already shared the recipe link with 4 others who tasted the muffins. Thank you!! You are welcome, enjoy and thanks for the comment. What a great find of a recipe! Thanks Bob, am about to make the muffins for my boys' lunch boxes tomorrow. YUM! I am fine with that, thanks for dropping by and all the best. 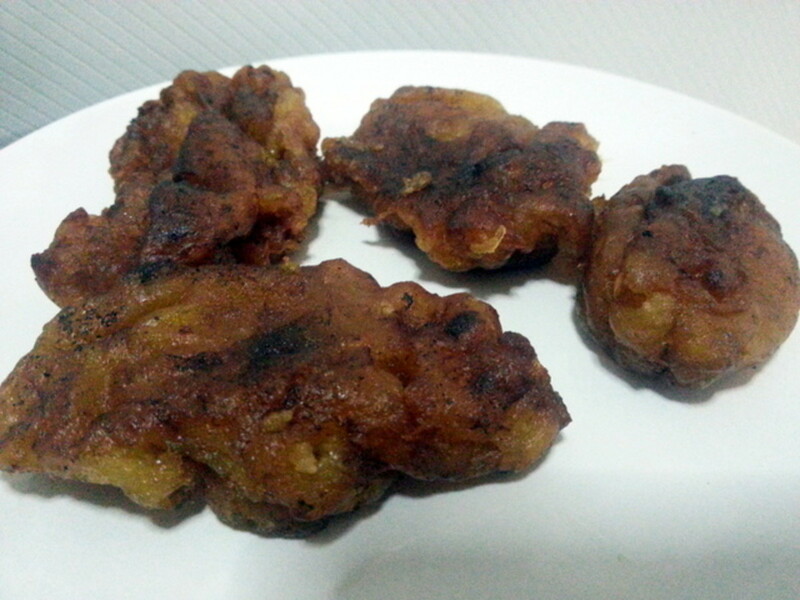 I just made this yummy simple recipe with small changes of my own :). I love baking and I even have a blog where I try out recipes from the net, books, family etc and share my experiences, reviews and the recipes.I'll be even sharing about this recipe soon. Hopefully you are okay with that because I always leave links to the original recipe and I always write the recipes in my own words to how I made them to let you know. Please do and have a happy party. Wow, thanks for the quick response! If you remove the baking soda you will see a difference in the end result, they will not rise as much and the flavour will be different. Is it possible to remove either baking soda or powder without affecting the end results? I am trying to cut down the sodium content. Thanks! I am happy you enjoyed the muffins, thanks for commenting. Enjoy, thanks for dropping by. Thanks for the recipe they sound yummy and healthy too. 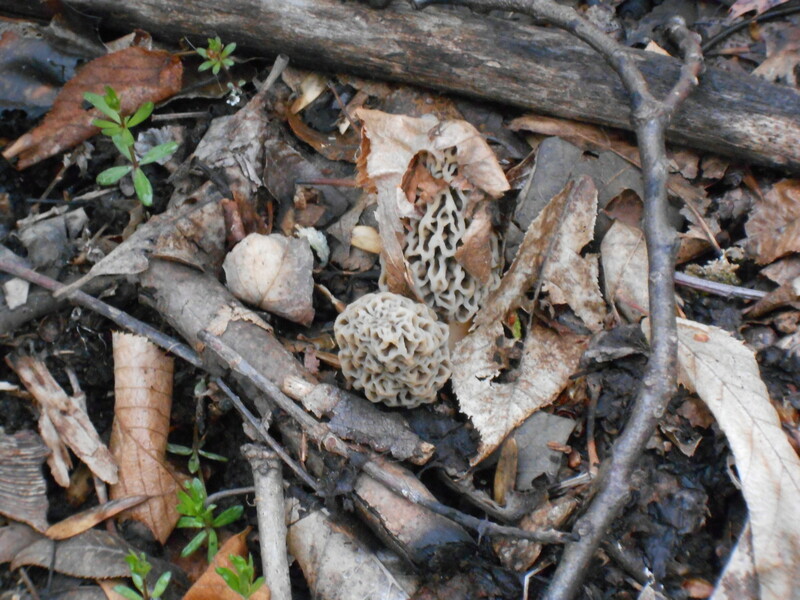 I am going to go make them right now...can't wait! Thank you , I will make some for myself later today. These muffins are absolutely fantastic .My picky eater son loved them & my daughter said they are the best banana muffins I've ever made. Kudoos to you. I also added some flax seed to them as well...I add it to everything..
Apple juice would be a good touch, thanks. Great Recipe!! Here were my modifications: (1) made a little apple sauce (2 small apples, pealed and cored, and a little water) using a small juicer. Added some in the final mix to bring to the "proper" batter thickness; (2) added some semi-sweet chocolate morsels. The original recipe is so great that you definitely do not need the chocolate. 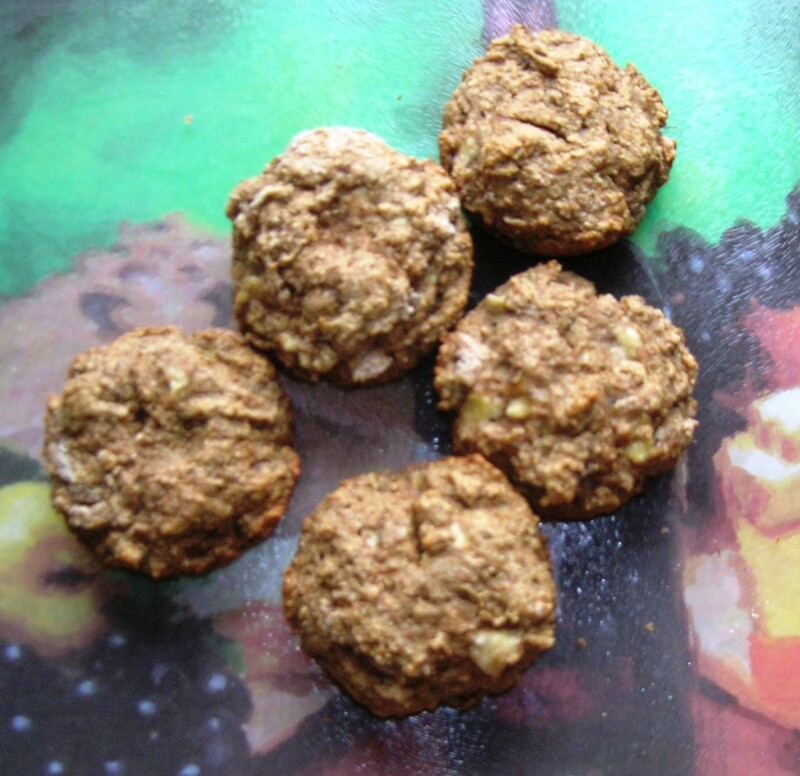 ; (3) 1/3 tsp nutmeg to replace the cinnamon (allergy); 1 cup whole wheat and 1/2 cup white. Delicious and very moist! Thanks! A really easy recipe to use!!!! Great taste! Thanks, glad you enjoyed them. I just came across your recipe, the muffins were fantastic! The only substitution I made was exchanging the butter for sugar free applesauce. I also added a cup of blueberries and about a tablespoon of organic brown sugar. Glad to hear and will do. The dates are awesome! Little nubbins of super sweet. I recommend it! Oh, and the post will be published on saturday. Please stop by! Dates would be an interesting addition, I'll take a look, thanks for dropping by. I'll be making these muffins this afternoon. I'm low on bananas so i'll be adding some chopped dates to fill in the half banana i'm missing, and subbing butter for homemade applesauce. I may blog my results, so check it out (i'll be sure and credit you). Thanks for the great sugarless recipe! That looks good. Mmm. I'm not even diabetic. Glad they helped and good luck, thanks for dropping by. You are welcome, and applesauce is a gr8 substitute, thanks for dropping by. I just made these and half-way through realized that I didn't have butter, so I used applesauce instead. Not only are they sugar-free, but also fat-free! Delicious, thanks for the recipe. I peel them ,slice them and bag them. Easy to sue that way for this and for smoothies, thanks. Hi Scooter, thanks for the visit. Sounds great, I plan on trying it sone. I am always looking for recipes with no sugar. Thanks for the testimony and for stopping by to comment. Thank you Bob!!! I just tried your recipe for the sugar free banana muffins and they were incredible! Using what you have on hand is a great idea, these sound delicious. I like figs. Bob, the figs are ripening on our tree out back, so I altered this recipe a bit. Figs instead of bananas, honey instead of brown sugar, partly whole wheat flour and the remainder unbleached white, baked in three small loaf pans (3x6) in our toaster oven at 350 for about 40 minutes. It's orgasmic with coffee. You are welcome, and i alos enjoy banana bread. 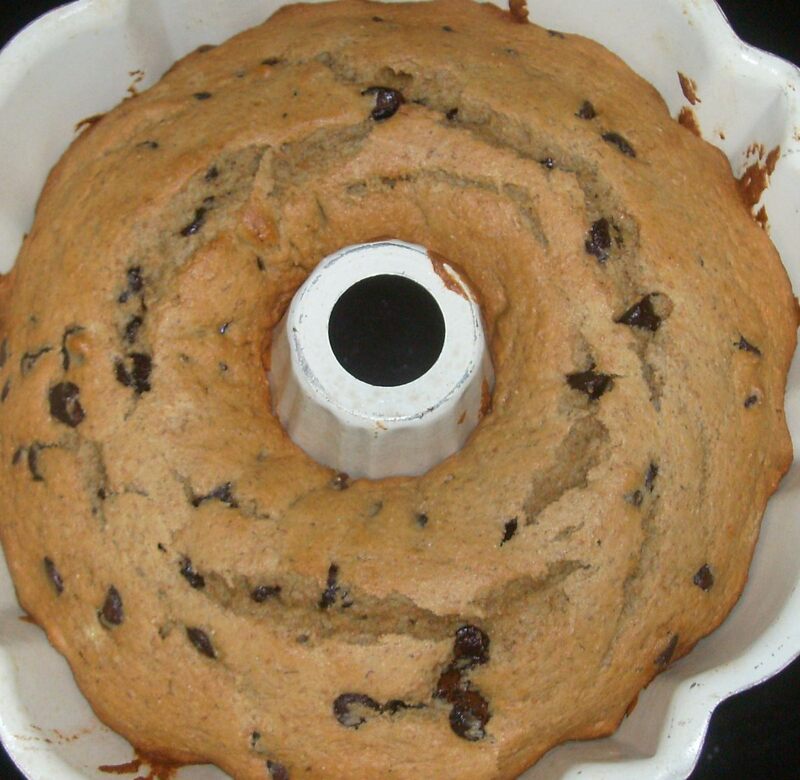 Banana bread is a favorite of mine, but I could never find a recipe that I liked. I like this one, simple and straight to the point. I never thought of freezing bananas...another good tip to remember! Great recipe! I'll try it. My kids like to eat &quot;sweets&quot; when they wake up with their dad but I'm a stickler for no sugar cereals etc. so this and a few of your others will be good ones. I look forward to recipe hopping here now that I've discovered you. thanks!